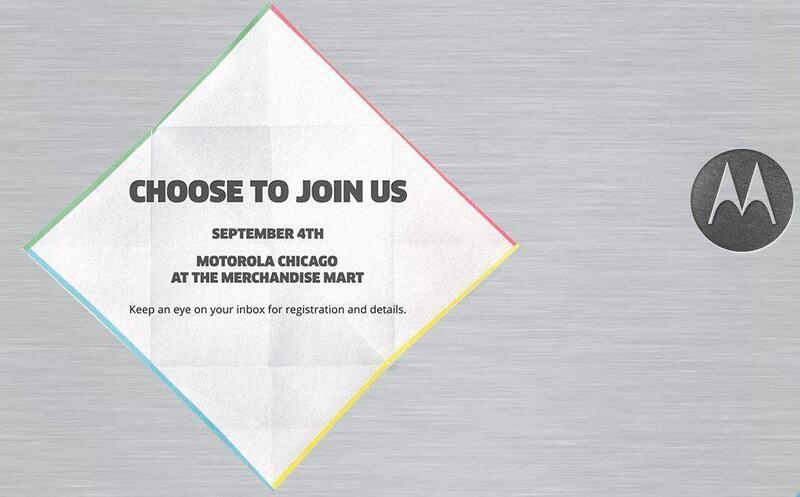 Motorola going to reveal it’s upcoming smartphones Moto G2, Moto X+1, Moto 360 smartwatch on September 4th, well, there was a new website launched by Motorola today with a name NewfromMoto.com where we get this information, the above image is taken from the NewfromMoto.com website which suggest that there will be a press event on September 4th regarding the launching of New smartphones (possibly the successors of Moto G, Moto x, i,e, Moto G2, Moto X+1, ) at Motorola’s headquarters in Chicago and the above image depicts that more information regarding registration will be revealed soon ! The teaser animation of paper cups suggesting that, Motorola took great care in their upcoming smartphones and they are planning it in Q2, reports suggesting that Samsung to unveil their latest galaxy Note 4 in the September, Apple are coming with their all new iPhone 6, Sony gearing up for the IFA expo in the september for the launch of Xperia Z3, and Now Motorola aiming towards September to launch their successors ! There were already rumors/leaks on the specs of these upcoming smartphones from Motorola, we have seen how Motorola Moto G, Moto X dominated the Indian Mobile market (thanks to Flipkart) but rightnow Xiaomi is dominating with their 3 smartphones (Xiaomi mi3, Xiaomi Redmi 1s, Xiaomi Redmi Note), Xiaomi already planned to launch the successor for the Mi3 i.e, Mi4 and Ultra cheap Mi bands along with Mi4, mean while Motorola now planning to release their second generation smartphones and the most anticipated gadget from Motorola , Moto 360, now everyone eyes are on it, as of it’s new look , compact design etc so the possible competition for the Xiaomi will be Motorola, and we are thinking Asus will be coming up with it’s new smartphones + android wear soon ! Isn’t it amazing ? 3 gadgets again ! like asus and xiaomi did ! want to know why 3 gadgets ? you should check this out!